The pioneering Australian design in self-watering planters, a classic of the indoor plant world since its launch in 1987. Mr Kitly has collaborated with Décor to create this original range of exclusive colours. 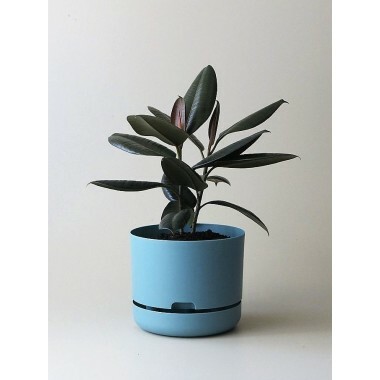 A lightweight planter that helps to take care of your plants - for home, office or anywhere. Clean, modern, and colourific plant pots. Perfect for bookshelves and mantles. Pots are plastic BPA free.